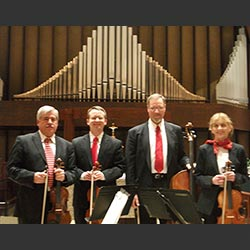 Since 1987, Seneca String Quartet has provided fine,professional music for all occasions throughout Upstate New York. Four Symphony musicians perform a wide variety of styles for your special occasion...wedding, anniversary, house or office party. Add a touch of class to any event with a String Quartet.